All measurements, dimensions, and/or lot sizes are approximate and subject to change without prior notice. This drawing is for preliminary informational purposes only and should not be relied upon for building, contractual, or any other purpose. Bear Creek Ridge L.L.C. and/or its representatives or affiliates shall not be responsible for errors and/or omissions. For contractual purposes Bear Creek Ridge L.L.C. 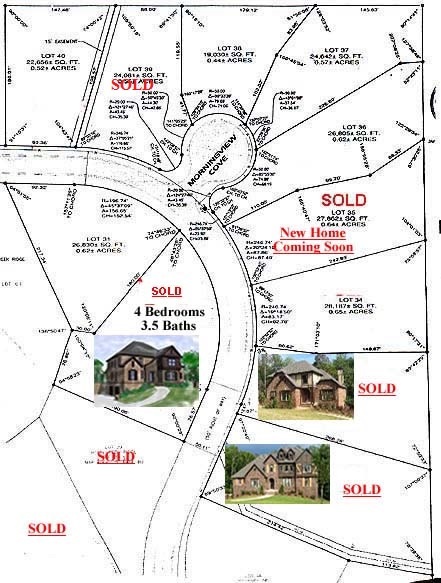 shall provide a final survey of each lot, at the time of signing the contract for any lot in the subdivision, which must be approved by all required Shelby County officials prior to this subdivisions final approval.